178 Commercial Properties in Act are listed in 6 categories. We have 119 Offices for Lease , 40 Industrial Warehouses for Lease , 12 Retail Shops for Lease , 4 Showrooms for Lease , 2 Medical and Consulting Properties for Lease and 1 Development Lands for Lease . PROPERTY OVERVIEW and gt; and gt; $709pw Price incl. A lively North Canberra coworking space with serviced offices, meeting rooms for hire and workspace flexibility to suit your business's needs. Take advantage of shared amenities like breakout zones, meeting rooms and fully equipped boardrooms plus reception services, fast internet and free networking events, all within an office designed to inspire and invigorate. This creative coworking space will make your people love coming to work: there’s a cafe on site and a range of shopping and dining amenities at the nearby shopping centre, plus modern day office essentials like AC, end of trip facilities and a concierge team on the ground floor. With parking available on site and excellent transport links to the CBD, this office space is a great option for individuals or small or large businesses. The advertised office space is perfect for a team of 7. If you need more or less space, we have over 30,000 furnished workspaces all over the world suitable for a team of 1 to 200+. Our award winning team offer a free service that will help you find the perfect solution for your needs, so reach out if you need more help. What you get for your weekly rent , 24/7 Access , Access to internal breakout areas , Commercial grade internet , Electricity usage included , Flexible terms , Premium Coffee/Tea Facilities , Fully equipped boardrooms, meeting rooms and day offices (fees may apply) , Plug and play furnished workspace , One simple bill for everything related to your workspace , FREE business networking events , Collaborative space with a great community feel Building features , Air conditioning , Bike racks , Dedicated men and ladies bathrooms , Disabled facilities , Modern fit out , Natural light , Showers , Modern communal food preparation areas , Car parking in building (Paid) , Car parking Street (Free) , Company Branding at reception , Concierge on ground floor , Pet friendly office space , Creative co working space Excellent transport links to CBD with bus stop 92m away Access from Northbourne Avenue and Challis Street On site parking available Close to restaurants, bars and shops Who is Office Hub? Office Hub is the world\'s No.1 marketplace for office space. We have a huge global selection of coworking spaces, serviced offices and shared office spaces with flexible options to suit teams from 1 200 people. We\'ll take you on a tour of all the workspaces that fit your needs and work on your behalf to get the best price possible. We\'ll help you discover how shared office space can be the most beneficial and budget friendly solution for your business. www.office hub.com Conditions apply – the advertised price includes any incentives offered based on a 12 month agreement and is available to new tenants only. Please note that the rental rate may increase for a shorter rental period. A portion of the square meterage factors in access to shared space. PROPERTY OVERVIEW and gt; and gt; $1114pw Price incl. A lively North Canberra coworking space with serviced offices, meeting rooms for hire and workspace flexibility to suit your business's needs. Take advantage of shared amenities like breakout zones, meeting rooms and fully equipped boardrooms plus reception services, fast internet and free networking events, all within an office designed to inspire and invigorate. This creative coworking space will make your people love coming to work: there’s a cafe on site and a range of shopping and dining amenities at the nearby shopping centre, plus modern day office essentials like AC, end of trip facilities and a concierge team on the ground floor. With parking available on site and excellent transport links to the CBD, this office space is a great option for individuals or small or large businesses. The advertised office space is perfect for a team of 11. If you need more or less space, we have over 30,000 furnished workspaces all over the world suitable for a team of 1 to 200+. Our award winning team offer a free service that will help you find the perfect solution for your needs, so reach out if you need more help. What you get for your weekly rent , 24/7 Access , Access to internal breakout areas , Commercial grade internet , Electricity usage included , Flexible terms , Premium Coffee/Tea Facilities , Fully equipped boardrooms, meeting rooms and day offices (fees may apply) , Plug and play furnished workspace , One simple bill for everything related to your workspace , FREE business networking events , Collaborative space with a great community feel Building features , Air conditioning , Bike racks , Dedicated men and ladies bathrooms , Disabled facilities , Modern fit out , Natural light , Showers , Modern communal food preparation areas , Car parking in building (Paid) , Car parking Street (Free) , Company Branding at reception , Concierge on ground floor , Pet friendly office space , Creative co working space Excellent transport links to CBD with bus stop 92m away Access from Northbourne Avenue and Challis Street On site parking available Close to restaurants, bars and shops Who is Office Hub? Office Hub is the world\'s No.1 marketplace for office space. We have a huge global selection of coworking spaces, serviced offices and shared office spaces with flexible options to suit teams from 1 200 people. We\'ll take you on a tour of all the workspaces that fit your needs and work on your behalf to get the best price possible. We\'ll help you discover how shared office space can be the most beneficial and budget friendly solution for your business. www.office hub.com Conditions apply – the advertised price includes any incentives offered based on a 12 month agreement and is available to new tenants only. Please note that the rental rate may increase for a shorter rental period. A portion of the square meterage factors in access to shared space. Ideal Workspace | Fully Furnished | Fabulous Views $787pw | 6 Person Workspa..
PROPERTY OVERVIEW $787pw Price incl. Top quality serviced offices ideally located in the heart of Canberra’s Central Business District. Whether you need a private office or a coworking space, you can choose a stylish workspace on the 8th floor of this prestigious building and put time and money back on your side. Flexi terms, competitive prices and instant move in make this a fast and affordable office solution in Canberra CBD, while inspiring Black Mountain views, contemporary styling and community based working are sure to engage and motivate your workforce. Classic yet contemporary, this coworking hub will impress clients in every industry and all your meetings will run smoothly with an IT and support team on your side. A range of services including mail handling and call answering can be selected as part of your membership and your space can be changed at a moment’s notice. The perfect solution for fast moving professionals, up and coming entrepreneurs, fast growing SMBs, temporary project teams or anyone looking for a professional workspace at a great price in Canberra CBD. The Ernst & Young Building at 121 Marcus Clarke Street is an A Grade office tower with state of the art features and prestigious accolades including a 5 star Green Star Design V2 and 4.5 star NABERS Energy Rating. The ground floor of the building was designed to create a hub of activity with dual frontages and several cafes and restaurants spilling into a north facing walkway that overlooks a leafy park. The cycling community will love ample secure bike storage and shower facilities within the building while others can enjoy a public car park and the City bus interchange on the doorstep. As a member of this serviced office, you’ll share this desirable Marcus Clarke Street business address with leading organisations such as JLL, Comcar, Mills Oakley, SHAPE and Meyer Vandenberg and be among all of Canberra’s major occupiers in the CBD. Located in Canberra’s commercial heart, this business centre makes all corners of the city walkable, including the Canberra Centre, restaurants, hotels, childcare, gyms and amenities. The advertised office space is perfect for a team of 6. If you need more or less space, we have over 30,000 furnished workspaces all over the world suitable for a team of 1 to 200+. Our award winning team offer a free service that will help you find the perfect solution for your needs, so reach out if you need more help. What you get for your weekly rent , 24/7 Access and 24/7 Security , Access to internal breakout areas , Access to kitchen facilities , A prestigious address to put on your business cards , Building outgoings included , Commercial grade internet , FREE use of community meeting rooms , Fully equipped boardrooms, meeting rooms and day offices (fees may apply) , Regular cleaning , Secure high speed Internet , Your own receptionist and waiting area for your clients Building features , Abundance of natural light , Air conditioning , Car parking in building (Paid) , Contemporary fit out , Ground floor security , Impressive A grade foyer and fit out , Landmark building in prime location , Onsite Cafe / Restaurant , Print, scan and copy facilities 600m to Civic Square 350m to City Bus Station 300m to The Street Theatre 350m to Novotel Canberra Next to Citywest car park Who is Office Hub? Office Hub is the world\'s No.1 marketplace for office space. We have a huge global selection of coworking spaces, serviced offices and shared office spaces with flexible options to suit teams from 1 200 people. We\'ll take you on a tour of all the workspaces that fit your needs and work on your behalf to get the best price possible. We\'ll help you discover how shared office space can be the most beneficial and budget friendly solution for your business. www.office hub.com Conditions apply – the advertised price includes any incentives offered based on a 12 month agreement and is available to new tenants only. Please note that the rental rate may increase for a shorter rental period. A portion of the square meterage factors in access to shared space. $967pw | 7 Person Workspa..
PROPERTY OVERVIEW $967pw Price incl. Internet, Electricity, Kitchen & Outgoings Flexi Terms 24/7 Access Fantastic Location Modern fit out Avail NOW for short or long term Located just a short walk to buses and public transport, this furnished office incorporates both private and co working spaces. It is a well presented, professional workspace boasting large windows for an abundance of natural light and a modern and spacious fit out making for an ideal working environment. The space offers 24/7 access with great amenities such as office wide wifi, kitchen facilities and regular cleaning services. The advertised office space is perfect for a team of 7. If you need more or less space, we have over 30,000 furnished workspaces all over the world suitable for a team of 1 to 200+. Our award winning team offer a free service that will help you find the perfect solution for your needs, so reach out if you need more help. What you get for your weekly rent 24/7 Access Building outgoings included Electricity included Commercial grade internet Access to shared meeting and boardrooms Regular cleaning Flexible terms Office and Building features Furnished with desks and chairs Natural light Open plan desk space and private offices Wi fi Onsite parking available Access to kitchen facilities Dedicated mens and womens bathrooms Close to Braddon cafes and restaurants Short walk to Canberra Centre WHO IS OFFICE HUB? Office Hub is Australia & New Zealands No 1 small office space commercial real estate agency. We have the largest collection of shared spaces, coworking and serviced offices in Australia & New Zealand, perfect for 1 200 employees. Let us take you on a tour of all the spaces that fit your needs and budget. Our service is complimentary and we work for you and the landlord to negotiate the most competitive deal in the market. Let us show you how shared and serviced offices can be the perfect solution for your business. www.office hub.com.au www.office hub.co.nz Conditions apply A portion of the square meterage factors in access to shared space. Price includes any incentives offered. This is for new tenants only. $690pw | 5 Person Workspa..
PROPERTY OVERVIEW $690pw Price incl. Internet, Electricity, Kitchen & Outgoings Flexi Terms 24/7 Access Fantastic Location Modern fit out Avail NOW for short or long term Located just a short walk to buses and public transport, this furnished office incorporates both private and co working spaces. It is a well presented, professional workspace boasting large windows for an abundance of natural light and a modern and spacious fit out making for an ideal working environment. The space offers 24/7 access with great amenities such as office wide wifi, kitchen facilities and regular cleaning services. The advertised office space is perfect for a team of 5. If you need more or less space, we have over 30,000 furnished workspaces all over the world suitable for a team of 1 to 200+. Our award winning team offer a free service that will help you find the perfect solution for your needs, so reach out if you need more help. What you get for your weekly rent 24/7 Access Building outgoings included Electricity included Commercial grade internet Access to shared meeting and boardrooms Regular cleaning Flexible terms Office and Building features Furnished with desks and chairs Natural light Open plan desk space and private offices Wi fi Onsite parking available Access to kitchen facilities Dedicated mens and womens bathrooms Close to Braddon cafes and restaurants Short walk to Canberra Centre WHO IS OFFICE HUB? Office Hub is Australia & New Zealands No 1 small office space commercial real estate agency. We have the largest collection of shared spaces, coworking and serviced offices in Australia & New Zealand, perfect for 1 200 employees. Let us take you on a tour of all the spaces that fit your needs and budget. Our service is complimentary and we work for you and the landlord to negotiate the most competitive deal in the market. Let us show you how shared and serviced offices can be the perfect solution for your business. www.office hub.com.au www.office hub.co.nz Conditions apply A portion of the square meterage factors in access to shared space. Price includes any incentives offered. This is for new tenants only. Prestigious Location | Premium Furnishings | Reception Services $568pw | 3 Person Workspa..
PROPERTY OVERVIEW $568pw Price incl. Premium managed office space with stunning views located on Phillip Law Street in Canberra. Tenants enjoy access to professional boardrooms and meeting rooms, internal breakout areas and a fully equipped kitchen with premium tea and coffee. Internet, electricity, furnishings included in rate and the icing on the cake is the highly qualified management team who are onsite and ready to provide you with anything you need to make your business run smoothly. This A grade commercial building, Nishi, is one of the “greenest” buildings in the Southern Hemisphere and a multi award winning building within the innovative cultural precinct of NewAction, Canberra. Putting Canberra on the map for design and creativity, the prestigious development in the CBD is an ideal location for those who mean business. The advertised office space is perfect for a team of 3. If you need more or less space, we have over 30,000 furnished workspaces all over the world suitable for a team of 1 to 200+. Our award winning team offer a free service that will help you find the perfect solution for your needs, so reach out if you need more help. What you get for your weekly rent Furnished office with desks, chairs and lock up storage units Commercial grade internet service Telephone line and personalised phone answering Use of kitchen facilities with premium coffee/tea service Electricity usage included Complimentary receptionist to meet and greet your clients Prestigious business address Flexible terms from 1 month to long term Ability to bring your existing phone number over Business lounge with complimentary break out areas 24 x 7 Access to your office 24 x 7 security Office features Immaculate fit out and facilities Full mail management and postage Large boardroom and meeting rooms Signage board in foyer to highlight your business name Professional environment Server / Comms rooms available for server storage Building features Modern high rise classified as an "A" grade building 24 x 7 access to your office High speed lifts Car parking in building and surrounding areas Dedicated on site management team The advertised price includes building outgoings and is based on one person occupying the workspace. If you have 2 or more people extra fees will apply to cover off services like telephone, internet and kitchen amenities. Only minutes' walk from the Law Courts, ANU & Government departments 291m to Edinburgh Ave bus stop 50m to Gym, Pub and Shopping Centre Only a 10 minute drive from Canberra International Airport Ideal location, with everything close by! WHO IS OFFICE HUB? Office Hub is Australia & New Zealand\'s No 1 small office space commercial real estate agency. We have the largest collection of shared spaces, coworking and serviced offices in Australia & New Zealand, perfect for 1 100 employees. Let us take you on a tour of all the spaces that fit your needs and budget. Our service is complimentary and we work for you and the landlord to negotiate the most competitive deal in the market. Let us show you how shared and serviced offices can be the perfect solution for your business. www.office hub.com.au www.office hub.co.nz Conditions apply A portion of the square meterage factors in access to shared space. Price includes any incentives offered. This is for new tenants only. $108pw | 1 Person Workspa..
PROPERTY OVERVIEW $108pw Price incl. 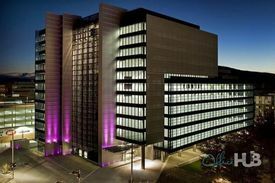 Stunning serviced office space in central Canberra location. Price incl. Internet, Rent, Electricity, Building Outgoings & All Utility Bills Stylish Fit Out Flexi terms Regular Cleaning 24/7 Access Dedicated Receptionist Modern Building Avail for short or long term rent Located in the buzzing northwestern CBD precinct, this landmark 6 story building offers great views of Black Mountain and the Canberra skyline. Features an extensive underground carpark and recent internal refurbishments. Close to numerous bars, cafes, restaurants, the ANU, and ubiquitous parklands. The advertised office space is perfect for a team of 1. If you need more or less space, we have over 30,000 furnished workspaces all over the world suitable for a team of 1 to 200+. Our award winning team offer a free service that will help you find the perfect solution for your needs, so reach out if you need more help. What you get for your weekly rent Furnished office with desks, chairs and lock up storage units Complimentary receptionist to meet and greet your clients Unlimited commercial grade internet service Electricity usage included Regular cleaning Telephone number & handset Prestigious business address to put on your cards Flexible terms from 1 month 2 years Ability to bring your existing phone number over 24 x 7 access to your office 24 x 7 security Office features Stunning views from selected offices Full mail management and postage Meeting and boardrooms available Signage board in foyer to highlight your business name Quality finishes and amenities throughout Server / Comms rooms available for server storage Building features Modern 'A' grade building Food court in building Bike racks and shower facilities High speed lifts Car parking in building and surrounding areas Dedicated on site management team 3 min walk to the Novotel 400m to Akiba bar as well as numerous other cafes, bars, and restaurants 300m to Nortbourne Avenue bus interchange 7 minutes to ANU 1.1km to Casino Canberra WHO IS OFFICE HUB? Office Hub has largest collection of shared office space, sublet office space, creative coworking office space and serviced offices, perfect for 1 200 employees. Let us take you on a tour of all the spaces that fit your needs and budget. Our service is complimentary and we work for you and the landlord to negotiate the most competitive deal in the market. Let us show you how shared and serviced offices can be the perfect solution for your business. All pricing shown excludes any local taxes such as GST or VAT Conditions apply A portion of the square meterage factors in access to shared space. The advertised price includes any incentives offered based on a 12 month agreement. If a shorter period is agreed to please note the price may increase accordingly. This promotional offer for new tenants only and may be withdrawn at any time due to space availability. Natural Light | Great Amenities | Ideal Workspace $1105pw | 16 Person Works..
PROPERTY OVERVIEW $1105pw Price incl. Internet, Electricity, Kitchen & Outgoings Flexi Terms 24/7 Access Fantastic Location Modern fit out Avail NOW for short or long term Located just a short walk to buses and public transport, this furnished office incorporates both private and co working spaces. It is a well presented, professional workspace boasting large windows for an abundance of natural light and a modern and spacious fit out making for an ideal working environment. The space offers 24/7 access with great amenities such as office wide wifi, kitchen facilities and regular cleaning services. The advertised office space is perfect for a team of 16. If you need more or less space, we have over 30,000 furnished workspaces all over the world suitable for a team of 1 to 200+. Our award winning team offer a free service that will help you find the perfect solution for your needs, so reach out if you need more help. What you get for your weekly rent 24/7 Access Building outgoings included Electricity included Commercial grade internet Access to shared meeting and boardrooms Regular cleaning Flexible terms Office and Building features Furnished with desks and chairs Natural light Open plan desk space and private offices Wi fi Onsite parking available Access to kitchen facilities Dedicated mens and womens bathrooms Close to Braddon cafes and restaurants Short walk to Canberra Centre WHO IS OFFICE HUB? Office Hub is Australia & New Zealands No 1 small office space commercial real estate agency. We have the largest collection of shared spaces, coworking and serviced offices in Australia & New Zealand, perfect for 1 200 employees. Let us take you on a tour of all the spaces that fit your needs and budget. Our service is complimentary and we work for you and the landlord to negotiate the most competitive deal in the market. Let us show you how shared and serviced offices can be the perfect solution for your business. www.office hub.com.au www.office hub.co.nz Conditions apply A portion of the square meterage factors in access to shared space. Price includes any incentives offered. This is for new tenants only. Ideal Location | Great Onsite Facilities | Ideal Working Environment $463pw | 5 Person Workspa..
PROPERTY OVERVIEW $463pw Price incl. Top quality serviced offices ideally located in the heart of Canberra’s Central Business District. Whether you need a private office or a coworking space, you can choose a stylish workspace on the 8th floor of this prestigious building and put time and money back on your side. Flexi terms, competitive prices and instant move in make this a fast and affordable office solution in Canberra CBD, while inspiring Black Mountain views, contemporary styling and community based working are sure to engage and motivate your workforce. Classic yet contemporary, this coworking hub will impress clients in every industry and all your meetings will run smoothly with an IT and support team on your side. A range of services including mail handling and call answering can be selected as part of your membership and your space can be changed at a moment’s notice. The perfect solution for fast moving professionals, up and coming entrepreneurs, fast growing SMBs, temporary project teams or anyone looking for a professional workspace at a great price in Canberra CBD. The Ernst & Young Building at 121 Marcus Clarke Street is an A Grade office tower with state of the art features and prestigious accolades including a 5 star Green Star Design V2 and 4.5 star NABERS Energy Rating. The ground floor of the building was designed to create a hub of activity with dual frontages and several cafes and restaurants spilling into a north facing walkway that overlooks a leafy park. The cycling community will love ample secure bike storage and shower facilities within the building while others can enjoy a public car park and the City bus interchange on the doorstep. As a member of this serviced office, you’ll share this desirable Marcus Clarke Street business address with leading organisations such as JLL, Comcar, Mills Oakley, SHAPE and Meyer Vandenberg and be among all of Canberra’s major occupiers in the CBD. Located in Canberra’s commercial heart, this business centre makes all corners of the city walkable, including the Canberra Centre, restaurants, hotels, childcare, gyms and amenities. The advertised office space is perfect for a team of 5. If you need more or less space, we have over 30,000 furnished workspaces all over the world suitable for a team of 1 to 200+. Our award winning team offer a free service that will help you find the perfect solution for your needs, so reach out if you need more help. What you get for your weekly rent , 24/7 Access and 24/7 Security , Access to internal breakout areas , Access to kitchen facilities , A prestigious address to put on your business cards , Building outgoings included , Commercial grade internet , FREE use of community meeting rooms , Fully equipped boardrooms, meeting rooms and day offices (fees may apply) , Regular cleaning , Secure high speed Internet , Your own receptionist and waiting area for your clients Building features , Abundance of natural light , Air conditioning , Car parking in building (Paid) , Contemporary fit out , Ground floor security , Impressive A grade foyer and fit out , Landmark building in prime location , Onsite Cafe / Restaurant , Print, scan and copy facilities 600m to Civic Square 350m to City Bus Station 300m to The Street Theatre 350m to Novotel Canberra Next to Citywest car park Who is Office Hub? Office Hub is the world\'s No.1 marketplace for office space. We have a huge global selection of coworking spaces, serviced offices and shared office spaces with flexible options to suit teams from 1 200 people. We\'ll take you on a tour of all the workspaces that fit your needs and work on your behalf to get the best price possible. We\'ll help you discover how shared office space can be the most beneficial and budget friendly solution for your business. www.office hub.com Conditions apply – the advertised price includes any incentives offered based on a 12 month agreement and is available to new tenants only. Please note that the rental rate may increase for a shorter rental period. A portion of the square meterage factors in access to shared space. $967pw | 14 Person Worksp..
PROPERTY OVERVIEW $967pw Price incl. Internet, Electricity, Kitchen & Outgoings Flexi Terms 24/7 Access Fantastic Location Modern fit out Avail NOW for short or long term Located just a short walk to buses and public transport, this furnished office incorporates both private and co working spaces. It is a well presented, professional workspace boasting large windows for an abundance of natural light and a modern and spacious fit out making for an ideal working environment. The space offers 24/7 access with great amenities such as office wide wifi, kitchen facilities and regular cleaning services. The advertised office space is perfect for a team of 14. If you need more or less space, we have over 30,000 furnished workspaces all over the world suitable for a team of 1 to 200+. Our award winning team offer a free service that will help you find the perfect solution for your needs, so reach out if you need more help. What you get for your weekly rent 24/7 Access Building outgoings included Electricity included Commercial grade internet Access to shared meeting and boardrooms Regular cleaning Flexible terms Office and Building features Furnished with desks and chairs Natural light Open plan desk space and private offices Wi fi Onsite parking available Access to kitchen facilities Dedicated mens and womens bathrooms Close to Braddon cafes and restaurants Short walk to Canberra Centre WHO IS OFFICE HUB? Office Hub is Australia & New Zealands No 1 small office space commercial real estate agency. We have the largest collection of shared spaces, coworking and serviced offices in Australia & New Zealand, perfect for 1 200 employees. Let us take you on a tour of all the spaces that fit your needs and budget. Our service is complimentary and we work for you and the landlord to negotiate the most competitive deal in the market. Let us show you how shared and serviced offices can be the perfect solution for your business. www.office hub.com.au www.office hub.co.nz Conditions apply A portion of the square meterage factors in access to shared space. Price includes any incentives offered. This is for new tenants only. $230pw | 2 Person Workspa..
PROPERTY OVERVIEW $230pw Price incl. Internet, Electricity, Kitchen & Outgoings Flexi Terms 24/7 Access Fantastic Location Modern fit out Avail NOW for short or long term Located just a short walk to buses and public transport, this furnished office incorporates both private and co working spaces. It is a well presented, professional workspace boasting large windows for an abundance of natural light and a modern and spacious fit out making for an ideal working environment. The space offers 24/7 access with great amenities such as office wide wifi, kitchen facilities and regular cleaning services. The advertised office space is perfect for a team of 2. If you need more or less space, we have over 30,000 furnished workspaces all over the world suitable for a team of 1 to 200+. Our award winning team offer a free service that will help you find the perfect solution for your needs, so reach out if you need more help. What you get for your weekly rent 24/7 Access Building outgoings included Electricity included Commercial grade internet Access to shared meeting and boardrooms Regular cleaning Flexible terms Office and Building features Furnished with desks and chairs Natural light Open plan desk space and private offices Wi fi Onsite parking available Access to kitchen facilities Dedicated mens and womens bathrooms Close to Braddon cafes and restaurants Short walk to Canberra Centre WHO IS OFFICE HUB? Office Hub is Australia & New Zealands No 1 small office space commercial real estate agency. We have the largest collection of shared spaces, coworking and serviced offices in Australia & New Zealand, perfect for 1 200 employees. Let us take you on a tour of all the spaces that fit your needs and budget. Our service is complimentary and we work for you and the landlord to negotiate the most competitive deal in the market. Let us show you how shared and serviced offices can be the perfect solution for your business. www.office hub.com.au www.office hub.co.nz Conditions apply A portion of the square meterage factors in access to shared space. Price includes any incentives offered. This is for new tenants only. A Grade Building | Fabulous Views | Great Onsite Facilities $915pw | 4 Person Workspa..
PROPERTY OVERVIEW $915pw Price incl. Premium managed office space with stunning views located on Phillip Law Street in Canberra. Tenants enjoy access to professional boardrooms and meeting rooms, internal breakout areas and a fully equipped kitchen with premium tea and coffee. Internet, electricity, furnishings included in rate and the icing on the cake is the highly qualified management team who are onsite and ready to provide you with anything you need to make your business run smoothly. This A grade commercial building, Nishi, is one of the “greenest” buildings in the Southern Hemisphere and a multi award winning building within the innovative cultural precinct of NewAction, Canberra. Putting Canberra on the map for design and creativity, the prestigious development in the CBD is an ideal location for those who mean business. The advertised office space is perfect for a team of 4. If you need more or less space, we have over 30,000 furnished workspaces all over the world suitable for a team of 1 to 200+. Our award winning team offer a free service that will help you find the perfect solution for your needs, so reach out if you need more help. What you get for your weekly rent Furnished office with desks, chairs and lock up storage units Commercial grade internet service Telephone line and personalised phone answering Use of kitchen facilities with premium coffee/tea service Electricity usage included Complimentary receptionist to meet and greet your clients Prestigious business address Flexible terms from 1 month to long term Ability to bring your existing phone number over Business lounge with complimentary break out areas 24 x 7 Access to your office 24 x 7 security Office features Immaculate fit out and facilities Full mail management and postage Large boardroom and meeting rooms Signage board in foyer to highlight your business name Professional environment Server / Comms rooms available for server storage Building features Modern high rise classified as an "A" grade building 24 x 7 access to your office High speed lifts Car parking in building and surrounding areas Dedicated on site management team The advertised price includes building outgoings and is based on one person occupying the workspace. If you have 2 or more people extra fees will apply to cover off services like telephone, internet and kitchen amenities. Only minutes' walk from the Law Courts, ANU & Government departments 291m to Edinburgh Ave bus stop 50m to Gym, Pub and Shopping Centre Only a 10 minute drive from Canberra International Airport Ideal location, with everything close by! WHO IS OFFICE HUB? Office Hub is Australia & New Zealand\'s No 1 small office space commercial real estate agency. We have the largest collection of shared spaces, coworking and serviced offices in Australia & New Zealand, perfect for 1 100 employees. Let us take you on a tour of all the spaces that fit your needs and budget. Our service is complimentary and we work for you and the landlord to negotiate the most competitive deal in the market. Let us show you how shared and serviced offices can be the perfect solution for your business. www.office hub.com.au www.office hub.co.nz Conditions apply A portion of the square meterage factors in access to shared space. Price includes any incentives offered. This is for new tenants only. Prestigious Location | Premium Furnishings | Reception Services $548pw | 3 Person Workspa..
PROPERTY OVERVIEW $548pw Price incl. Premium managed office space with stunning views located on Phillip Law Street in Canberra. Tenants enjoy access to professional boardrooms and meeting rooms, internal breakout areas and a fully equipped kitchen with premium tea and coffee. Internet, electricity, furnishings included in rate and the icing on the cake is the highly qualified management team who are onsite and ready to provide you with anything you need to make your business run smoothly. This A grade commercial building, Nishi, is one of the “greenest” buildings in the Southern Hemisphere and a multi award winning building within the innovative cultural precinct of NewAction, Canberra. Putting Canberra on the map for design and creativity, the prestigious development in the CBD is an ideal location for those who mean business. The advertised office space is perfect for a team of 3. If you need more or less space, we have over 30,000 furnished workspaces all over the world suitable for a team of 1 to 200+. Our award winning team offer a free service that will help you find the perfect solution for your needs, so reach out if you need more help. What you get for your weekly rent Furnished office with desks, chairs and lock up storage units Commercial grade internet service Telephone line and personalised phone answering Use of kitchen facilities with premium coffee/tea service Electricity usage included Complimentary receptionist to meet and greet your clients Prestigious business address Flexible terms from 1 month to long term Ability to bring your existing phone number over Business lounge with complimentary break out areas 24 x 7 Access to your office 24 x 7 security Office features Immaculate fit out and facilities Full mail management and postage Large boardroom and meeting rooms Signage board in foyer to highlight your business name Professional environment Server / Comms rooms available for server storage Building features Modern high rise classified as an "A" grade building 24 x 7 access to your office High speed lifts Car parking in building and surrounding areas Dedicated on site management team The advertised price includes building outgoings and is based on one person occupying the workspace. If you have 2 or more people extra fees will apply to cover off services like telephone, internet and kitchen amenities. Only minutes' walk from the Law Courts, ANU & Government departments 291m to Edinburgh Ave bus stop 50m to Gym, Pub and Shopping Centre Only a 10 minute drive from Canberra International Airport Ideal location, with everything close by! WHO IS OFFICE HUB? Office Hub is Australia & New Zealand\'s No 1 small office space commercial real estate agency. We have the largest collection of shared spaces, coworking and serviced offices in Australia & New Zealand, perfect for 1 100 employees. Let us take you on a tour of all the spaces that fit your needs and budget. Our service is complimentary and we work for you and the landlord to negotiate the most competitive deal in the market. Let us show you how shared and serviced offices can be the perfect solution for your business. www.office hub.com.au www.office hub.co.nz Conditions apply A portion of the square meterage factors in access to shared space. Price includes any incentives offered. This is for new tenants only. Dedicated Receptionist | Central Location | Modern Building $343pw | 2 Person Workspa..
PROPERTY OVERVIEW $343pw Price incl. Stunning serviced office space in central Canberra location. Price incl. Internet, Rent, Electricity, Building Outgoings & All Utility Bills Stylish Fit Out Flexi terms Regular Cleaning 24/7 Access Dedicated Receptionist Modern Building Avail for short or long term rent Located in the buzzing northwestern CBD precinct, this landmark 6 story building offers great views of Black Mountain and the Canberra skyline. Features an extensive underground carpark and recent internal refurbishments. Close to numerous bars, cafes, restaurants, the ANU, and ubiquitous parklands. The advertised office space is perfect for a team of 2. If you need more or less space, we have over 30,000 furnished workspaces all over the world suitable for a team of 1 to 200+. Our award winning team offer a free service that will help you find the perfect solution for your needs, so reach out if you need more help. What you get for your weekly rent Furnished office with desks, chairs and lock up storage units Complimentary receptionist to meet and greet your clients Unlimited commercial grade internet service Electricity usage included Regular cleaning Telephone number & handset Prestigious business address to put on your cards Flexible terms from 1 month 2 years Ability to bring your existing phone number over 24 x 7 access to your office 24 x 7 security Office features Stunning views from selected offices Full mail management and postage Meeting and boardrooms available Signage board in foyer to highlight your business name Quality finishes and amenities throughout Server / Comms rooms available for server storage Building features Modern 'A' grade building Food court in building Bike racks and shower facilities High speed lifts Car parking in building and surrounding areas Dedicated on site management team 3 min walk to the Novotel 400m to Akiba bar as well as numerous other cafes, bars, and restaurants 300m to Nortbourne Avenue bus interchange 7 minutes to ANU 1.1km to Casino Canberra WHO IS OFFICE HUB? Office Hub has largest collection of shared office space, sublet office space, creative coworking office space and serviced offices, perfect for 1 200 employees. Let us take you on a tour of all the spaces that fit your needs and budget. Our service is complimentary and we work for you and the landlord to negotiate the most competitive deal in the market. Let us show you how shared and serviced offices can be the perfect solution for your business. All pricing shown excludes any local taxes such as GST or VAT Conditions apply A portion of the square meterage factors in access to shared space. The advertised price includes any incentives offered based on a 12 month agreement. If a shorter period is agreed to please note the price may increase accordingly. This promotional offer for new tenants only and may be withdrawn at any time due to space availability. $343pw | 2 Person Workspa..
PROPERTY OVERVIEW $343pw Price incl. Stunning serviced office space in central Canberra location. Price incl. Internet, Rent, Electricity, Building Outgoings & All Utility Bills Stylish Fit Out Flexi terms Regular Cleaning 24/7 Access Dedicated Receptionist Modern Building Avail for short or long term rent Located in the buzzing northwestern CBD precinct, this landmark 6 story building offers great views of Black Mountain and the Canberra skyline. Features an extensive underground carpark and recent internal refurbishments. Close to numerous bars, cafes, restaurants, the ANU, and ubiquitous parklands. The advertised work space is perfect for a team of 2. If you need more or less space we have furnished and unfurnished offices ready to go from 10sqm 200sqm all over Australia and New Zealand. What you get for your weekly rent Furnished office with desks, chairs and lock up storage units Complimentary receptionist to meet and greet your clients Unlimited commercial grade internet service Electricity usage included Regular cleaning Telephone number & handset Prestigious business address to put on your cards Flexible terms from 1 month 2 years Ability to bring your existing phone number over 24 x 7 access to your office 24 x 7 security Office features Stunning views from selected offices Full mail management and postage Meeting and boardrooms available Signage board in foyer to highlight your business name Quality finishes and amenities throughout Server / Comms rooms available for server storage Building features Modern 'A' grade building Food court in building Bike racks and shower facilities High speed lifts Car parking in building and surrounding areas Dedicated on site management team 3 min walk to the Novotel 400m to Akiba bar as well as numerous other cafes, bars, and restaurants 300m to Nortbourne Avenue bus interchange 7 minutes to ANU 1.1km to Casino Canberra WHO IS OFFICE HUB? Office Hub has largest collection of shared office space, sublet office space, creative coworking office space and serviced offices, perfect for 1 200 employees. Let us take you on a tour of all the spaces that fit your needs and budget. Our service is complimentary and we work for you and the landlord to negotiate the most competitive deal in the market. Let us show you how shared and serviced offices can be the perfect solution for your business. All pricing shown excludes any local taxes such as GST or VAT Conditions apply A portion of the square meterage factors in access to shared space. The advertised price includes any incentives offered based on a 12 month agreement. If a shorter period is agreed to please note the price may increase accordingly. This promotional offer for new tenants only and may be withdrawn at any time due to space availability. Dedicated Receptionist | A Grade Building | Modern Building $248pw | 3 Person Workspa..
PROPERTY OVERVIEW $248pw Price incl. 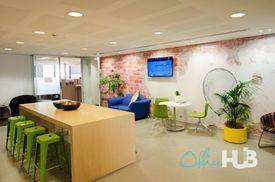 Stunning serviced office space in central Canberra location. Price incl. Internet, Rent, Electricity, Building Outgoings & All Utility Bills Stylish Fit Out Flexi terms Regular Cleaning 24/7 Access Dedicated Receptionist Modern Building Avail for short or long term rent Located in the buzzing northwestern CBD precinct, this landmark 6 story building offers great views of Black Mountain and the Canberra skyline. Features an extensive underground carpark and recent internal refurbishments. Close to numerous bars, cafes, restaurants, the ANU, and ubiquitous parklands. The advertised office space is perfect for a team of 3. If you need more or less space, we have over 30,000 furnished workspaces all over the world suitable for a team of 1 to 200+. Our award winning team offer a free service that will help you find the perfect solution for your needs, so reach out if you need more help. What you get for your weekly rent Furnished office with desks, chairs and lock up storage units Complimentary receptionist to meet and greet your clients Unlimited commercial grade internet service Electricity usage included Regular cleaning Telephone number & handset Prestigious business address to put on your cards Flexible terms from 1 month 2 years Ability to bring your existing phone number over 24 x 7 access to your office 24 x 7 security Office features Stunning views from selected offices Full mail management and postage Meeting and boardrooms available Signage board in foyer to highlight your business name Quality finishes and amenities throughout Server / Comms rooms available for server storage Building features Modern 'A' grade building Food court in building Bike racks and shower facilities High speed lifts Car parking in building and surrounding areas Dedicated on site management team 3 min walk to the Novotel 400m to Akiba bar as well as numerous other cafes, bars, and restaurants 300m to Nortbourne Avenue bus interchange 7 minutes to ANU 1.1km to Casino Canberra WHO IS OFFICE HUB? Office Hub has largest collection of shared office space, sublet office space, creative coworking office space and serviced offices, perfect for 1 200 employees. Let us take you on a tour of all the spaces that fit your needs and budget. Our service is complimentary and we work for you and the landlord to negotiate the most competitive deal in the market. Let us show you how shared and serviced offices can be the perfect solution for your business. All pricing shown excludes any local taxes such as GST or VAT Conditions apply A portion of the square meterage factors in access to shared space. The advertised price includes any incentives offered based on a 12 month agreement. If a shorter period is agreed to please note the price may increase accordingly. This promotional offer for new tenants only and may be withdrawn at any time due to space availability.